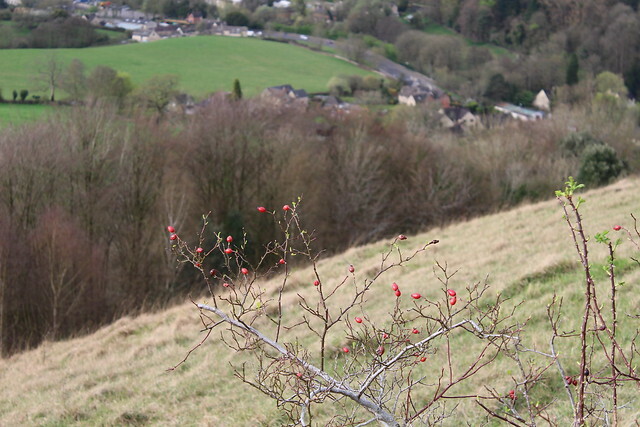 my little red suitcase: Some images and thoughts right now. Some images and thoughts right now. Spring has arrived on the common, and the dance of the wildflowers has begun. 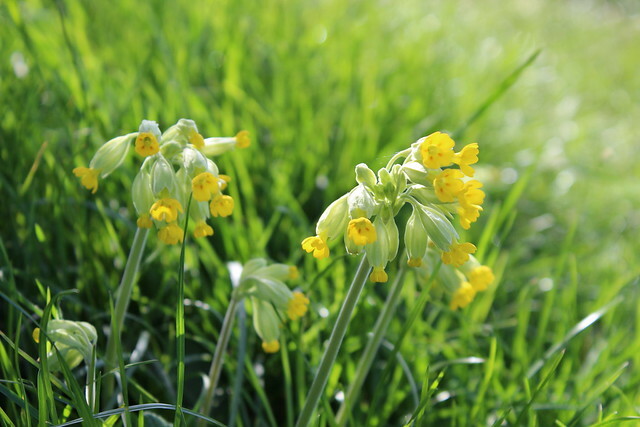 One of the first stars of the show is the lovely Cowslip, waving gently in the breeze. This is the reason I carry my camera everywhere. It's a light camera and I have a special camera bag, which looks like a normal shoulder bag, it's padded and keeps my camera safe. It has room for my phone and purse too. So I am never without it! When you walk somewhere almost everyday, you get to see the subtle changes and feel the joy at new happenings in your familiar territory. A emerging wildflower is happy sight. Blossoms, spring leaves, meadow grasses, the colours of the sky. The moody greys and the bright blues. And the views...It's all so lovely. Clean air, friendly dog-walkers, good vibes, it's truly kind of addictive...and the dogs...it's just the nicest place for them. Sometimes I find a sunny spot on the slopes, to sit, out of the wind and take in the view. I try not to sit on thistles.... Occasionally enthusiastic dogs will come hurtling down the slopes chasing a ball, before it's lost down the hill.... But a sunny, quiet moment, lying on the ground in the spring sunshine, is magic. 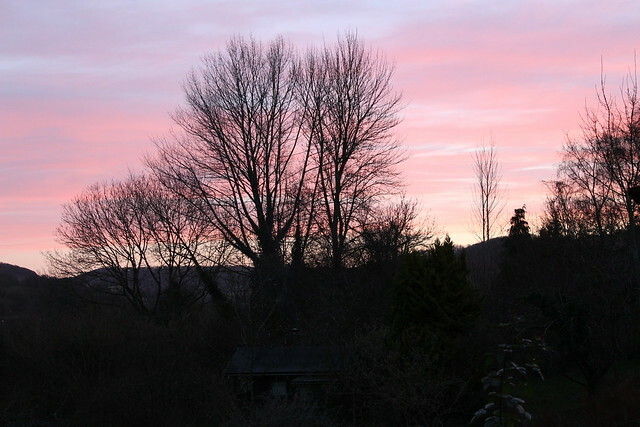 At home, I caught this shot, as the sun went down and shone it's pinky light across the valley, onto the trees. The cabin is there. 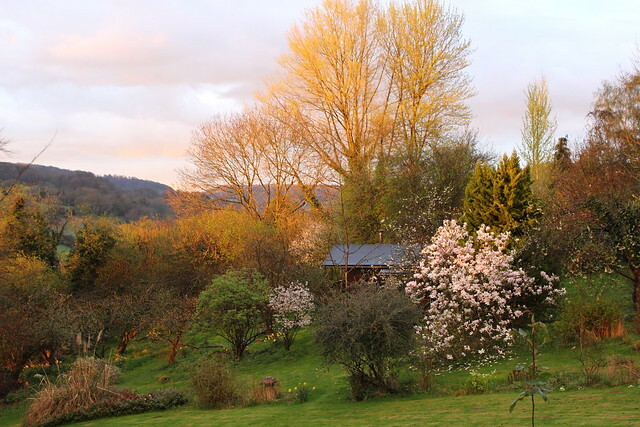 The other day I saw my sweet cabin lady wondering around putting little twigs in the ground around the Cowslips, so the guys who mow the grass will see them, and mow around them. The cabins were already here when I arrived. Probably about fifteen years old now, they are not well insulated, but they have woodburners and character. First I thought I would run them as a B & B....that was 10 years ago, and since then they have had permanent dwellers in them the whole time! If one becomes available, I might list it as a Airbnb. I watched the tedx talk of Joe Gebbia, the founder of Airbnb recently. I had a look through the 200 or so in my local area, which was slightly voyeristic,... but interesting to see what's out there. 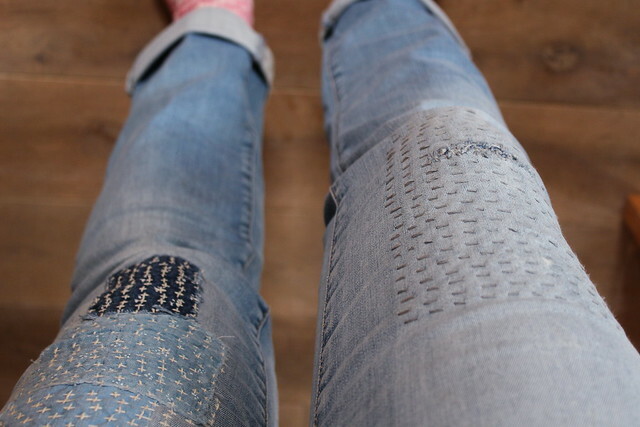 I have had to do some more visible mending on my jeans...the other leg decided to tear too. I thought I would catch it quick before it ripped all the way across. It's got a patch underneath now as well so it should hold up. Talking of clothes, I recently got out my two bags of summer clothes. Seeing them in their see-through bags, all squashed together and old, leaves me feeling as though I might want to give the whole lot away and start again. I can see things which never really fitted right, or that never got worn for whatever reason. So I have decided to not open them yet and think about it. Am I really brave enough to just let them go, without opening them.... And how will I find the new fresh feeling I am looking for? how do I want to shop and where do I want to spend my money? 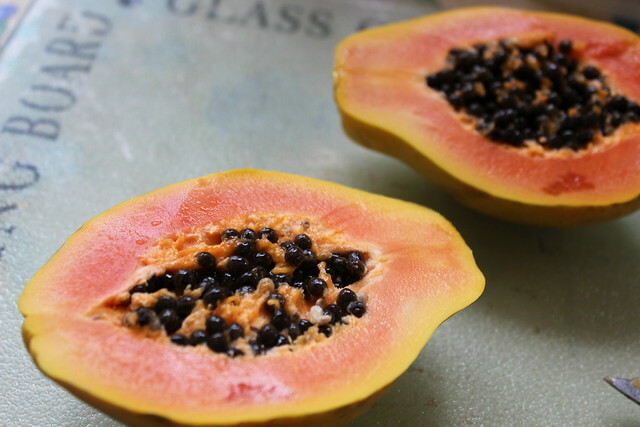 Foodwise: I have discovered Papaya, and that it's very photogenic, and I love it. It's great for making smoothies, with banana, and almond milk, and for breakfast. Yum. I find myself just still wanting to eat warming, comforting food, like baked potatoes, every night... I need to feel full and fed. I've been reading about raw food and vegan food. But I'm not quite ready to take it on yet. 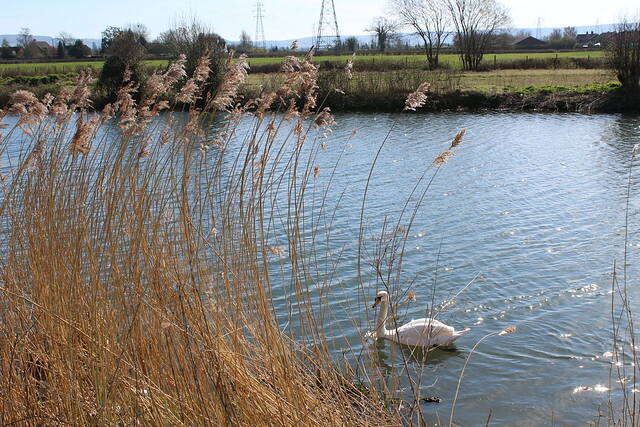 I've been walking by the canal. I feel drawn here now to have my dose of boats and water. It's very relaxing to watch the canal boats chugging up and down. There has been some pink sunsets. 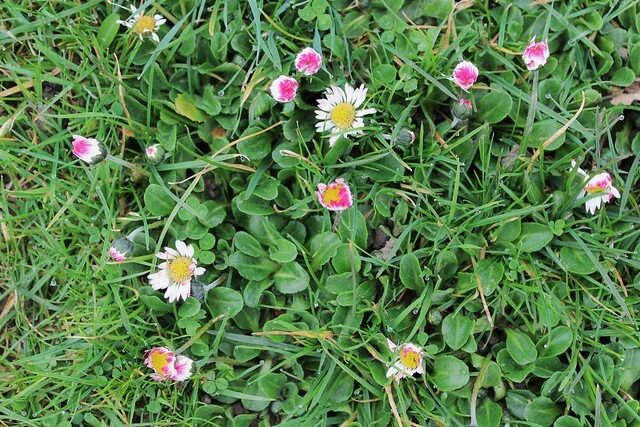 Some pink daises on the lawn. 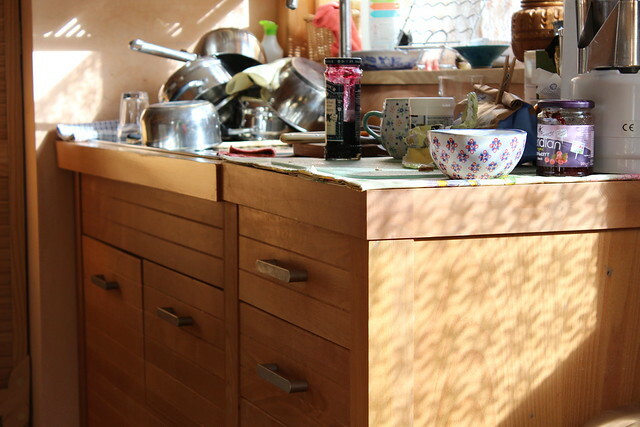 I enjoyed the sunlight in my messy kitchen:-) haha...not so pretty, but look at the light coming through the curtain...The paintwork is a bit tired but it's homely in here and I like it..
And new makes: a pile of wristwarmers, just ready for the.... summer! I am working with a new kind of wool. They were just gorgeous to make.The pattern is a closed shell stitch, which I had to work out how to crochet into a round. It worked. I'm happy with them. I used the gorgeous hand dyed wool made by the Indie wool company Fyberspates. Each ball made two sets of wristwarmers, I'm pleased to say, and thankful because, oh the price...! The colours are incredible and you can read more about them in my Etsy shop, if you would like. So I have to say that as I have written this blog post....stopped to walk the dog, eat breakfast, make tea, open and close windows, that I have felt everything opening up in my mind that I wanted to talk about. As though it were a concertina of things which were originally squashed down and now have opened up, drawn in some air and made a tune. 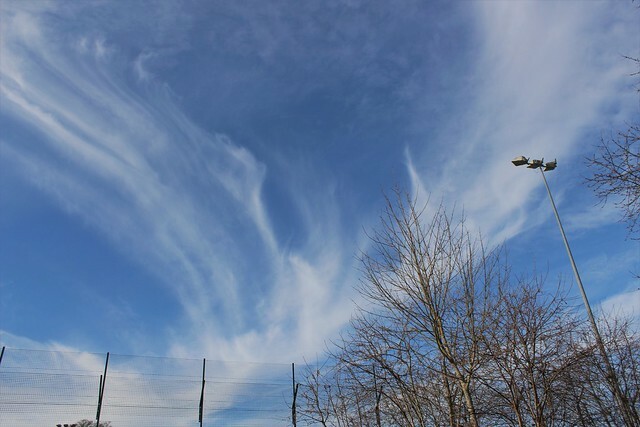 You have the most beautiful images pf the blogosphere! Thank you very much for posting. 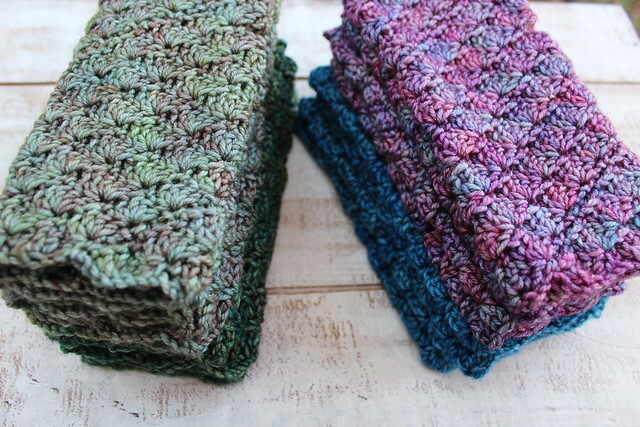 The wrist warmer colors are gorgeous! Love them. Thank you for all the beautiful images.